Mexican breakfasts are rather big. The hostel provided, scrambled eggs and bean tortillas. They were the perfect fuel for the day ahead. 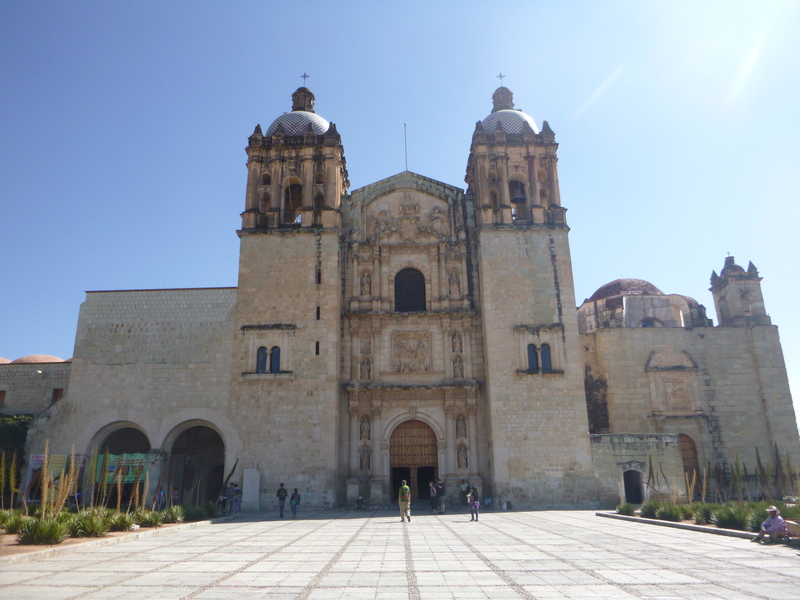 I began by walking with my friend from Paris around Oaxaca. There was a food fair going on in the park. Students had cooked all kinds of different cuisines. 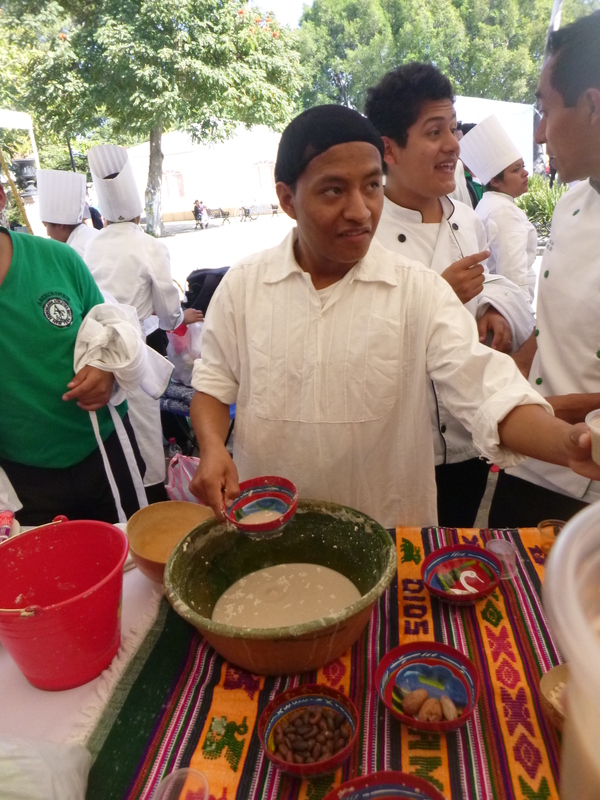 We tried a sample of a traditional Mexican drink, made from maize, cocoa beans and seeds. Despite it’s appearance it tasted great. Next we walked along the beautiful Streets. They were so colourful and decorative. Where we are staying in Oaxaca it is beautiful, safe and lively. 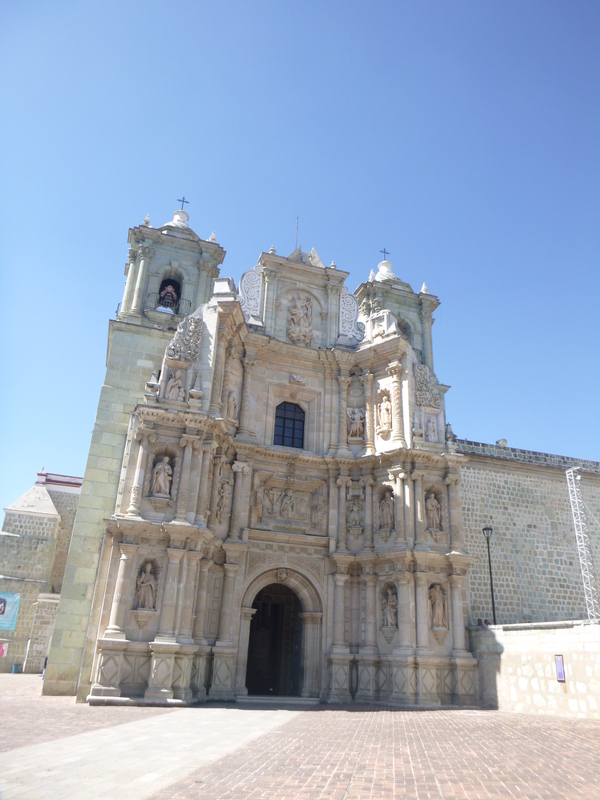 We stopped off at a couple of churches, that were stunning. 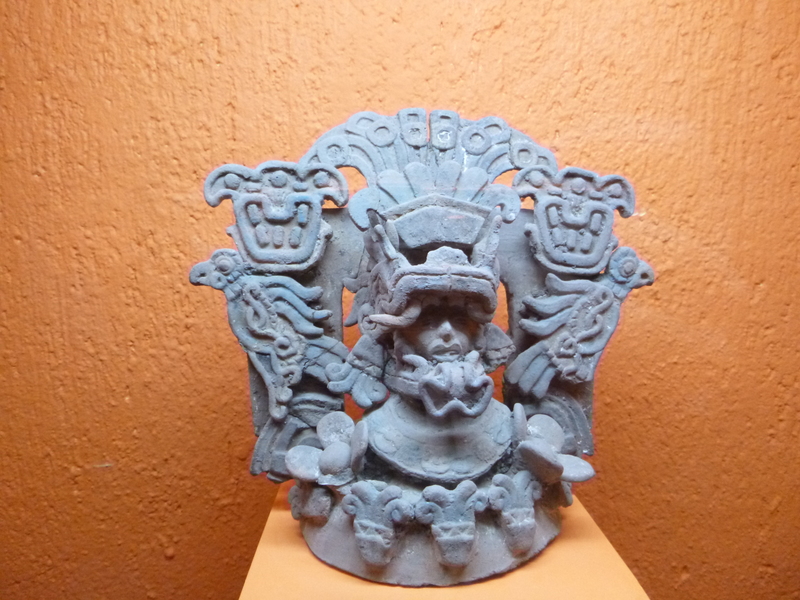 We looked at a photography gallery, followed by a museum of ancient aztec artefacts. These were fascinating. They were so old and well kept. The basilica was magnificent both outside and inside. We went to a market, where I tried a juice made from a type of cabbage vegetable. We chilled in an elaborate hotel which used to be a monastery named Quinta Real. 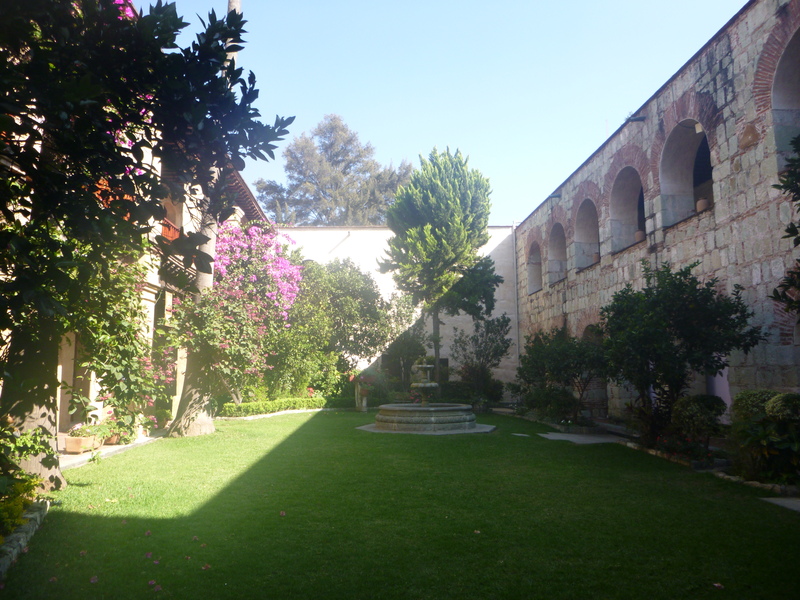 It was a beautiful place, we ate oranges from the trees in the courtyard. My friend had contacted some people on couch surfing who were willing to show us round their beautiful city. I have never had any luck with couch surfing my self. It is a website that enables you to connect up with people in new cities or places you visit. Some people offer to host you for a couple of nights, while others may show you around all free of charge. So we met one guy who walked around the city some more with us. He took us to his favourite food market and advice us what to try. 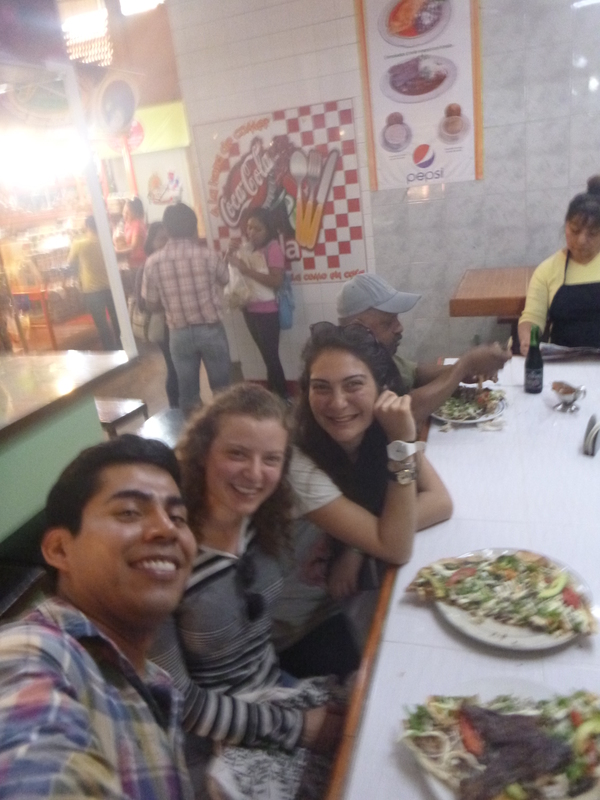 We had a tasty beef crispy taco and some rice water named agua de orchanta. It was so good made from cinnamon, rice and sugar. 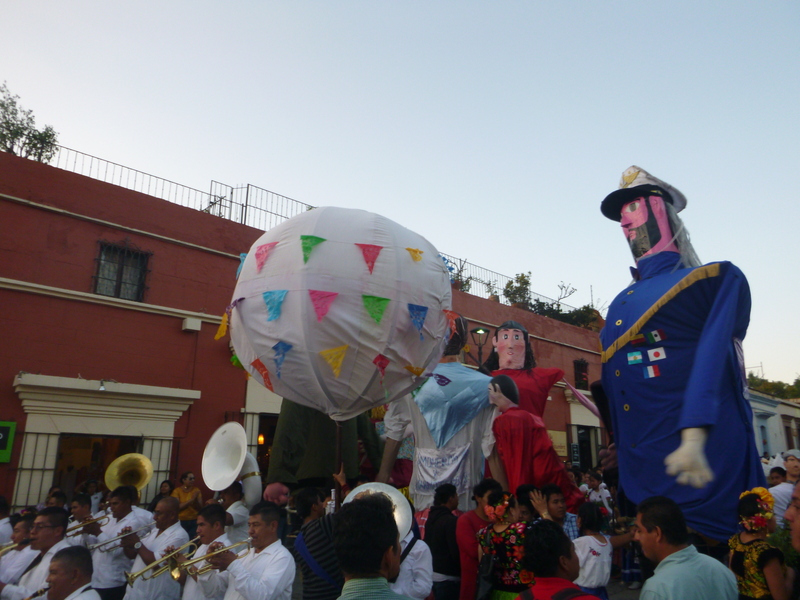 On our walk back to the hostel we saw a celebration occurring. A March was taking place for education. There is always some type of festivity occurring here apparently. Later on we met another couch surfer. This time it was not as successful. The guy we met was slightly crazy, talking about conspiracy theories and how the government is against us. Fair enough, people have their own opinions but we could not get a word in edge ways. We tried some maize street food (corn on the cob with mayonnaise and cheese) and I quickly made an excuse saying we had to go on a night bike tour (which we were pondering about). This was the perfect excuse, we grabbed some hire bikes and set off on the organised ride. It was free and so much fun. There was about 150 bikes or more riding along, including tandems too. It was mayhem. The first bike blared music, while the rest of us followed. I am surprised there were no accidents. I thought Mexicans were bad at driving but their bike riding skills are considerably worse. It was a great adventure. We explored parts of town we wouldn’t have otherwise. The views were fabulous. Next it was time to try mescal – the famous liquor in Oaxaca. We found a great bar with a balcony over the road and they had a fun rock band playing.